If you adore the rich and sweet flavor of butterscotch pudding, you are sure to love these cookies. 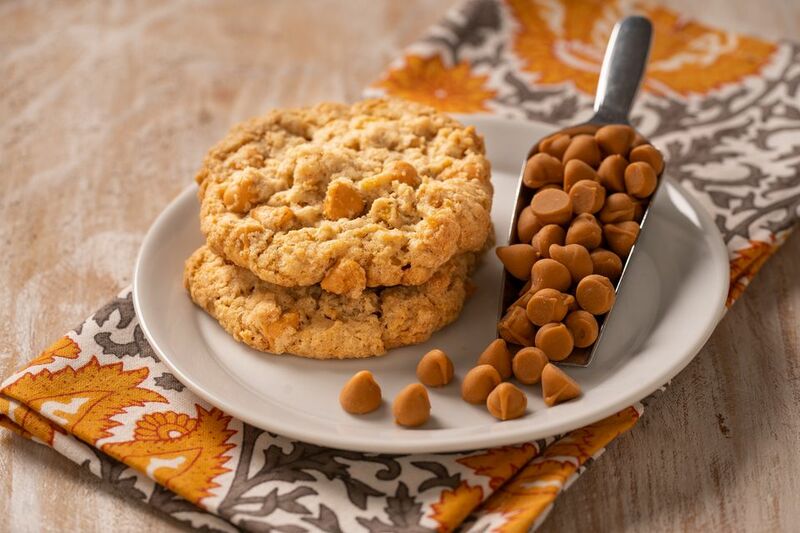 The melt-in-your-mouth butterscotch morsels in this unique recipe are sure to become a staple when you are craving a sweet treat. What makes this recipe so special is the creative combination of textures and flavors. Besides the delightful butterscotch chips, there are also rolled oats, chopped walnuts and cornflakes cereal. Every bite is perfect combination of sweet and crunchy. To release even more flavor, you could even toast the walnuts before chopping and measuring them for the recipe. Either old-fashioned rolled oats and quick-cooking rolled oats will work in this recipe. They can be used interchangeably. Just be sure not to use a packet of instant oatmeal which is pre-cooked and dried and will turn your cookies into a gummy mess. The best part about this recipe is the incredible aroma that will fill your kitchen when the cookies are ready to come out of the oven. It will be hard to resist sneaking a bite before they cool down. Because these cookies are overflowing with decadent goodies, I tend to make them a little bit on the larger side. That way, you are sure to get a bite of everything in each cookie. Don't forget to store them in an airtight container so they stay as fresh as the moment they came out of the oven. They also make a great gift to wrap up and share with friends, family, or neighbors. Preheat oven to 350 F. Line cookie sheets with parchment paper. In a large mixer bowl, beat the butter, granulated sugar, and brown sugar together until mixed. Beat in vanilla and water. In a medium bowl, stir together the flour, baking soda, baking powder, and salt. Add the dry ingredients to the butter mixture and beat until combined. Add the oatmeal, butterscotch morsels, Cornflakes, and walnuts; mix well. Place heaping spoonfuls of batter, about 2-inches apart, onto prepared baking sheets. Gently press each cookie to flatten it slightly. Bake cookies until lightly browned, 10 to 12 minutes.